Private wellnes for the whole family, relax together after a challenging day in mountains. Enjoy uninterrupted relaxation in the private wellness. 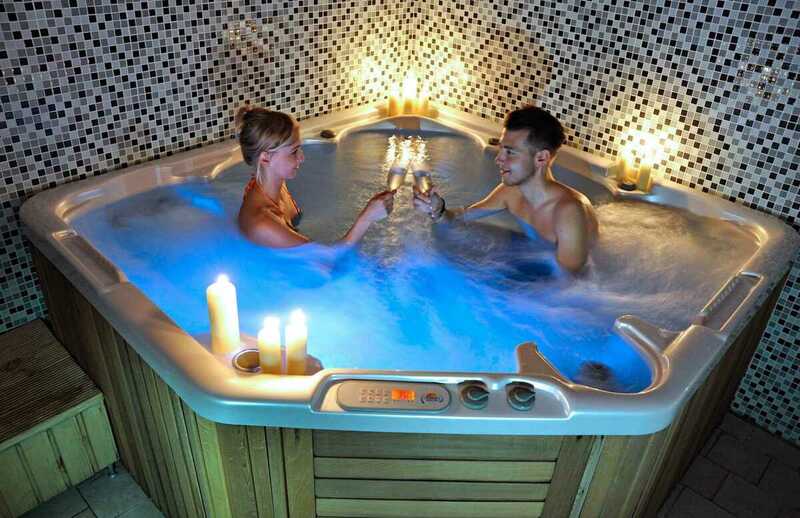 Book your time in advance and relax in the jacuzzi, Finnish sauna, infra sauna and relaxation zone. During wellness relaxation, you can also enjoy professional massages of your choice. Before entering sauna, have a shower and dry yourself. In sauna, lay down or have a seat on a clean sheet, or wrap yourself in a towel. You can influence your body temperature by different postures, the hot air is close to the ceiling. The air temperature around your head should be at 90 degrees Celsius. Massage your body, you improve your blood circulation and get rid of dead skin cells. Breathe with mouth. After 10-12 minutes leave the sauna and rinse your sweat with colder water. After you can cool yourself in cooling vat. Drawn underwater couple times, wrap a sheet around you and relax. You can repeat this sauna bath process maximum 3 times ( depends on how you feel). After last cooling rinse your body and hair with colder water. Entry the relaxation zone. Lay down covered with sheet and relax at least for half an hour. Do not forget to drink enough water during the sauna bath!